"my experience with Northwell and Dr Jongco in particular was more informative, inclusive and satisfying than any other I've experienced in many years. bravo"
"Only saw a few minutes, but they were professional, efficient, kind, and knowledgeable. Fellow Dr. Ezhuthachan was also excellent and was able to follow up on getting what I needed efficiently & conscientiously." "I highly recommend Dr. Jongco"
"Dr. Jongco is the best doctor I have seen for my conditions. I am 28 years old and see: a pulmonologist, urologist, gastroenterologist, rheumatologist, and other specialists. Dr. Jongco cares quite possibly more than all of them combined. I would recommend him to anyone." "Dr. Jongco is the best doctor I have ever seen. I highly recommend!" "i ll recommend my friends.."
"I have already recommended Dr Jongco to several people. His level of knowledge & compassion is unsurpassed"
"Dr. Jongco is the best practitioner I see. I have not seen any doctor with such attentiveness and willingness to communicate." "Dr. Jongco is heaven sent. He was able to explain my health problem and follow up with blood test results. I am thankful for being able to connect with Dr. Jongc. I feel confident with his help I will be able to face whatever treatment is required." "Dr. Jongco is very knowledgeable. He has great resources and always seeks to help. He is a little on the conservative side which is not a bad thing. He is the ying to my yang in terms of medical care and caution with treatment. I want to try everything and he puts text into perspective." "Dr. Jongco is an amazing doctor that explains everything. You do not leave the appointment feeling rushed or in the unknown. I truly would recommend Dr. Jongco to anyone in need of an immunologist. He is amazing." "Very knowledgeable, poised, well spoken, professional physician. No complaints at all, I am a physician as well as was impressed. " "We love Dr. Jongco. He explains issues and is friendly. He is responsive to our calls." "Dr. Jongco could give lessons to other MD's. he reviews my history, then lab results & explains what each means. He returns phone calls promptly & initiates calls when he sees something unusual. He takes time to see if he's addressed any questions & never rushes you." "The dr. spent a LOT of time with me AND called with the results and spent a lot of time on the phone with me. I never experienced anything like this before!! 10. Already have. " "I would recommend all the community about the help & human quality of this excellent professional - Dr. Artemio Miguel Jongco III MD." "Dr. Jongco was truly one of the best providers I have encountered. He is knowledgeable, listen attentively, is very thorough, and had great bedside manner. He explained all the next steps and outlined action plans of our situation - I would recommend him to anyone!" "I can only say good things about this dr."
"I have worked with MANY providers. Dr. Jongco was a breath of fresh air. He was methodical, detailed, efficient and thorough. He also did an excellent job explaining his thinking and recommendations logically and clearly. He called immediately. Having had experiences with the exact opposite it was truly a surprise to have someone exceed all of my expectations. Dr. Jongco is exceptional as a provider and communicator. I am very grateful." "Dr. Jongco is so thorough and caring"
"I have found Dr. Jongco to be an excellent, highly intelligent, caring physician who clearly has a passion for what he does. He has the ability to break down complex (physiology) information and put it into layman's terms. My nephrologist was impressed with Dr. Jongco and his report and is now recommending him to his patients." "with only one visit I already love this doctor. great patient service from the dr."
"I actually can't wait to meet with Dr. Jongco the next appointment to thank him and follow up on my son's treatment." 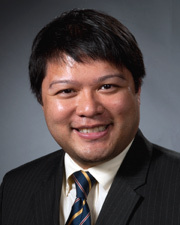 "Dr. Artrmio Jongco 111 is an excellent doctor he's very knowledgeable, patient, understanding and kind." "Dr. Jongco best doctor I have seen in a long time!" "Dr. Jongco is one of the best doctors I have experienced. He personally called me with test results & instructions. He also wrote hand written notes with further information." "Dr. Jongco was excellent, and we left very confident and informed." "Called me with my lab results the very next day."